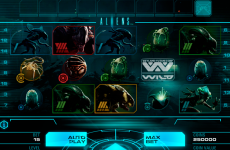 As in any slot video, every combination of characters brings a different number of points to the player. The combination of playing cards from 10 to Ace will bring the player from 60 to 2 points, depending on the number of identical symbols and the value of the card. The images of the deities will increase the player’s payout from 750 to 10 points. The sacred symbol of the cow in a combination of three images gives from 15 to 250 points. The silver Hand will bring a gift of 120 points. 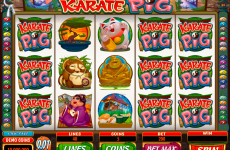 The stakes on this online slot can be made from one to five coins per active line. The nominal of the coins is in the range from 0.01 to 0.25 game currencies. If all bets will be on the maximum, then the player can immediately put up to 100 per spin. The Wild symbol on the gambling slot machine. 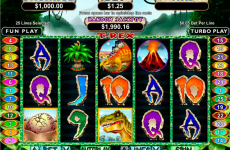 In this free slot machine the Rich Wilde is the wild symbol. It fills in any combination or replaces the missing symbol. It should be noted that the possibilities of the Wild symbol are not limitless. The Wild symbol cannot complement a combination of the jewels or of the temple images. The spin of divine wheel brings the player additional bonuses and prizes. The Statue of the Indian god Vishnu – it is necessary to guess on which hand Vishnu is hiding the pearl. The Divine wall – the movement of the stone slabs will give the player additional points to the account. 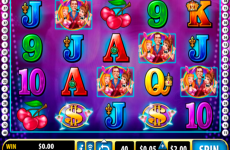 The appearance on the screen of three images of the pearl gives the player a gift in the form of 10 free spins. During the free spins the pearls becomes extra wild symbols, if during the bonus spins the sink appears 5 times, the player will receive up to 1000 points to the account and additional rotations. 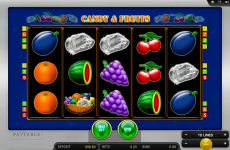 The total number of free spins can be up to 30. The gamblers can try themselves in the risk game on the slot machine for free play. If the player guesses the color or the suit of the cards, then the wins will be multiplied by 2 or 4 times. In the risk game you can play up to five times successively, or up to the maximum payoff of 2,500 game currencies. 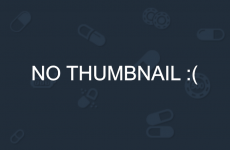 Balance – the game account balance. 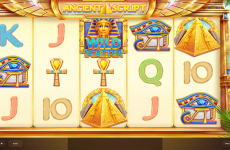 The game interface is very simple in this free online casino game. There are no additional features only the sound and the size of the game screen. The panel with a sign “?” helps to deal with the issues raised in the course of the game. 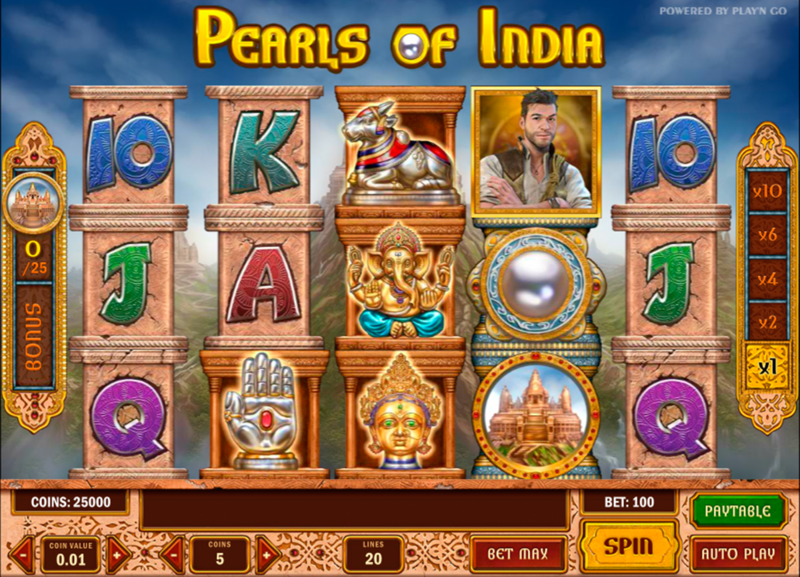 The slot machine Pearls of India is a fascinating story of the epic India. The ancient artifacts beckon with its mystery. The colorful and mysterious country is full of surprises and secrets of magic. 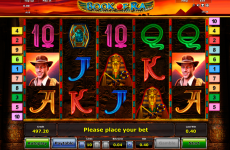 Once launched the video slot, you can feel yourself a follower of the legendary Dr. Henry Indiana Jones – researcher and hunter for artifacts. Here you can find the playing card symbols, the silver hand, the images of the divinities – Shiva and Ganesh, the divine cow statue, the photo the researcher Rich Wilde and of course the jewel of India.